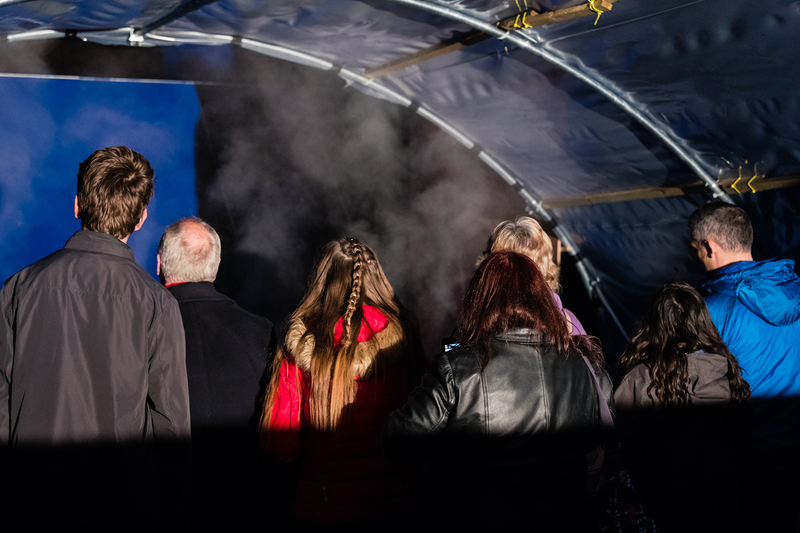 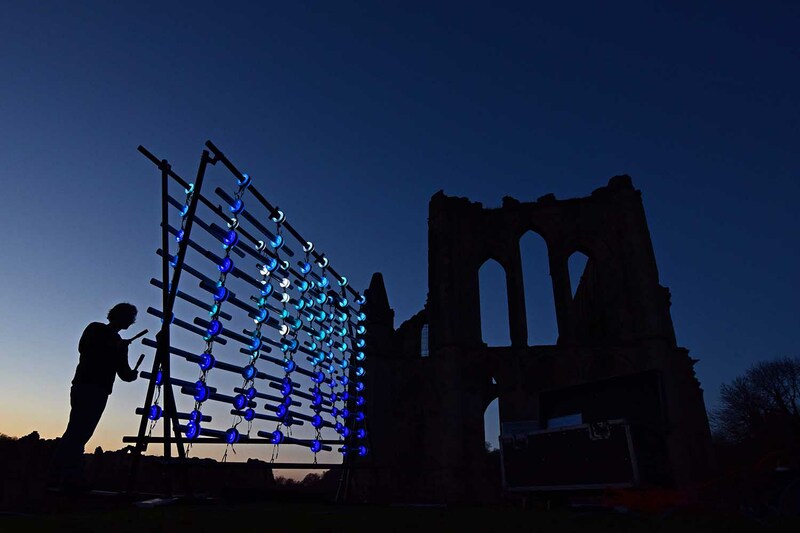 Brocken Spectre was first shown at Rievaulx Abbey during Holy Week 2017 in a programme that included Michael Davis' Illumaphonium and Silent Voices, an installation by children of Helmsley Community School working with writer Tracy Iceton and sound artist Andrew Williams. 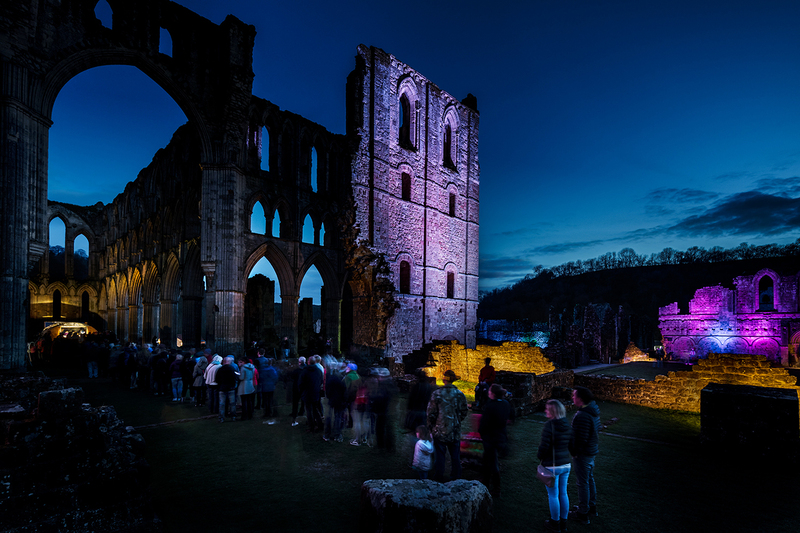 The abbey was lit by Camel Event Productions and we worked with English Heritage to manage 1600 visitors over four nights. 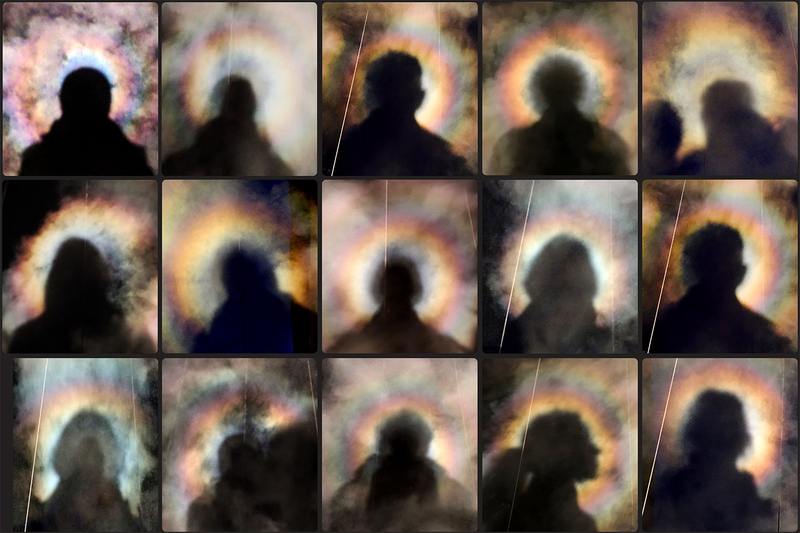 Projecting Brocken Spectre along the presbytery axis suggested a relationship between the Brocken spectre and the halo: four nights of queuing and selfies with glories!